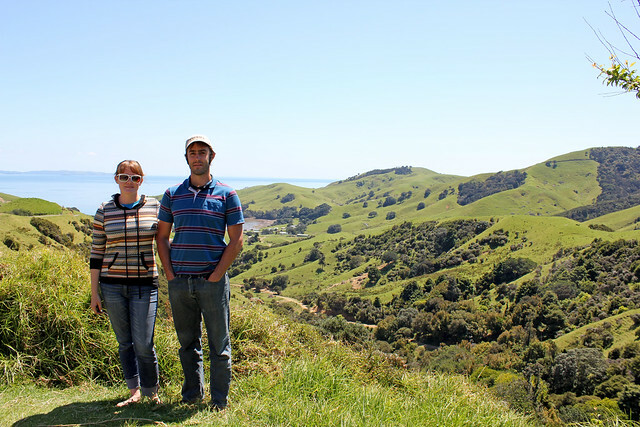 Sam and I spent a couple days in Matarangi, on the north end of the Coromandel Peninsula, with a CouchSurfer named Scott. The drive up the coast of the peninsula was beautiful, even though Sam likes to drive around curves faster than I do. 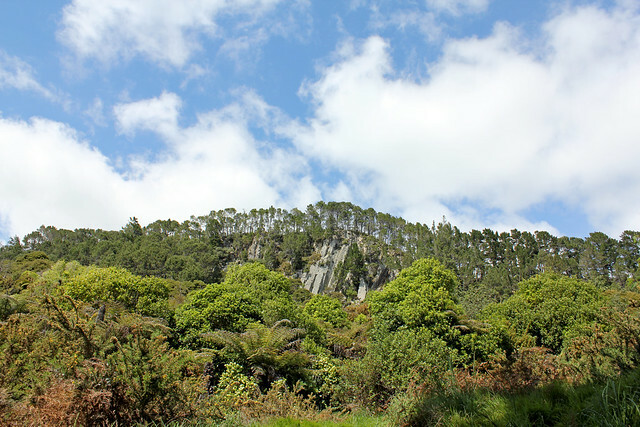 Much of the highway leading north snakes around the coast, and the places where the road turns inland are just as nice. 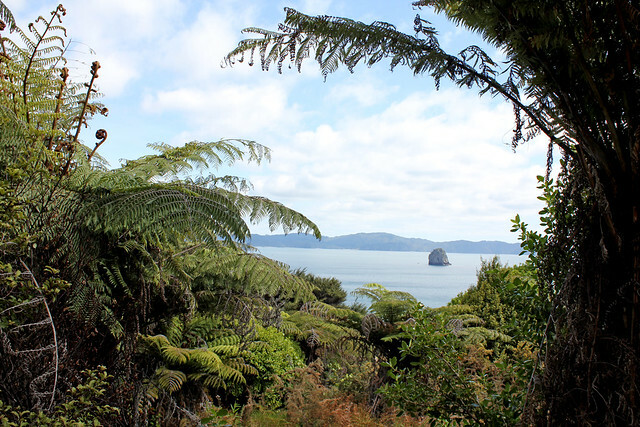 We explored Matarangi a little on our first day, but it's a tiny place, so it didn't take long. 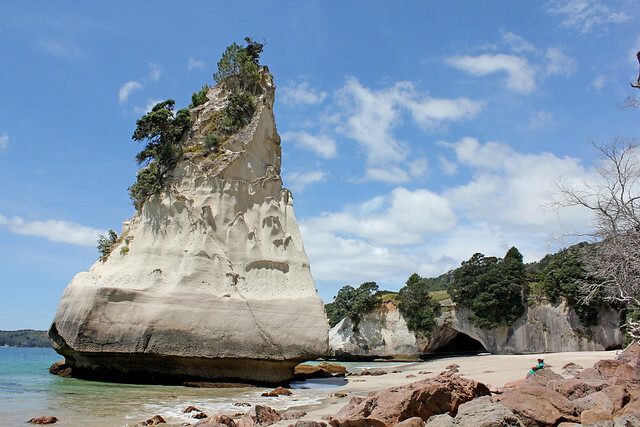 The next day, we decided to check out Cathedral Cove and Hot Water Beach on the east coast. 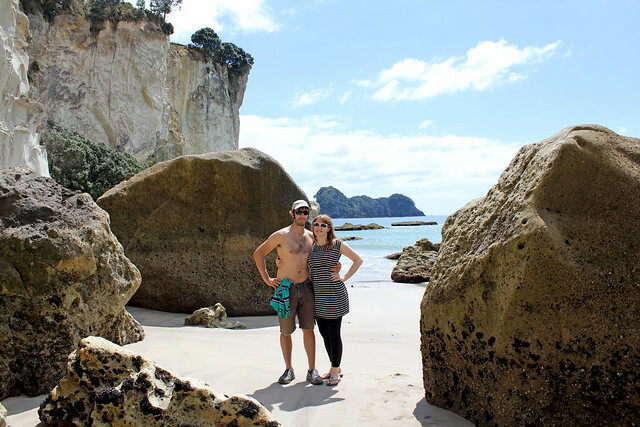 Cathedral Cove has been on my life's to do list for years, and we heard about Hot Water Beach from some friends we met here. 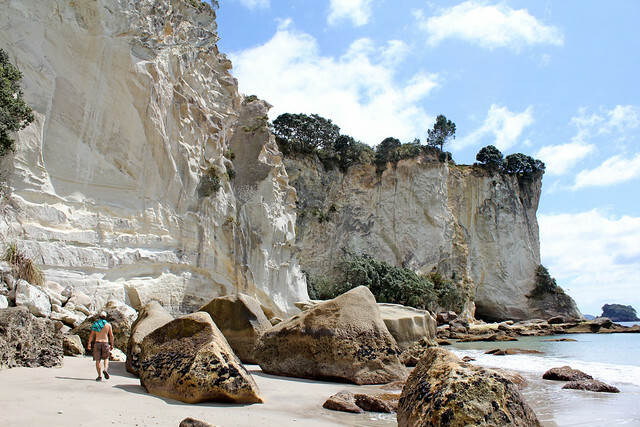 The hike to Cathedral Cove is well worth the trip. 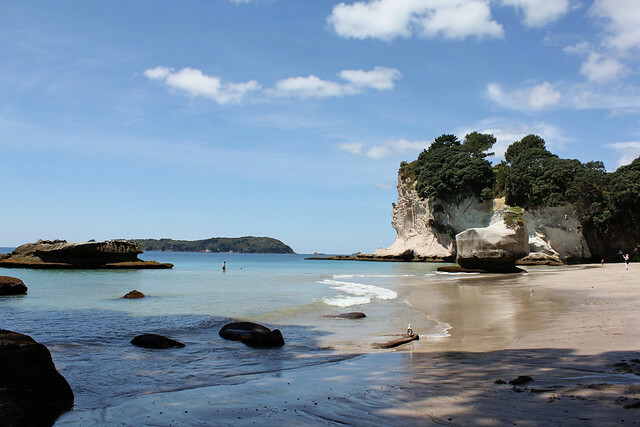 The path passes by Gemstone Bay and Stingray Bay before leading uphill into the bush and back down to Cathedral Cove. 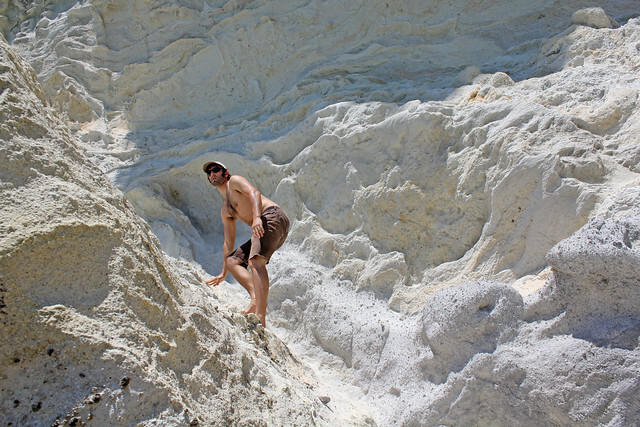 Stingray Bay was almost empty, and we had fun exploring its cool rock formations and caves. 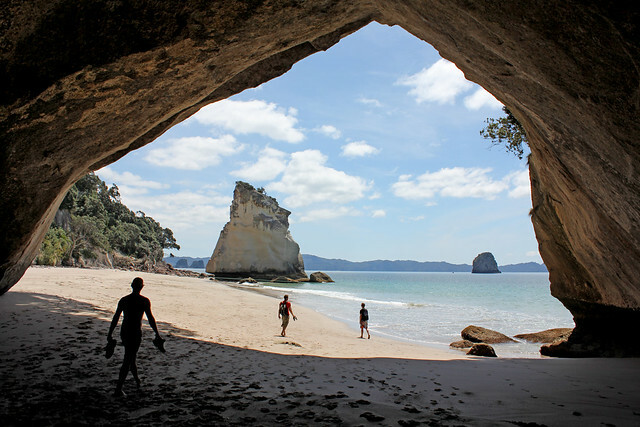 Cathedral Cove was breathtaking in person. We were disappointed to see the famous archway roped off, due to the recent danger of falling rocks, but like a few other rebels, we went through anyway. After all, if the arch is collapsing, we might never get another chance! The view from the other side of the arch was even better, and we had it all to ourselves! I am so happy we made the trip to this little corner of New Zealand. 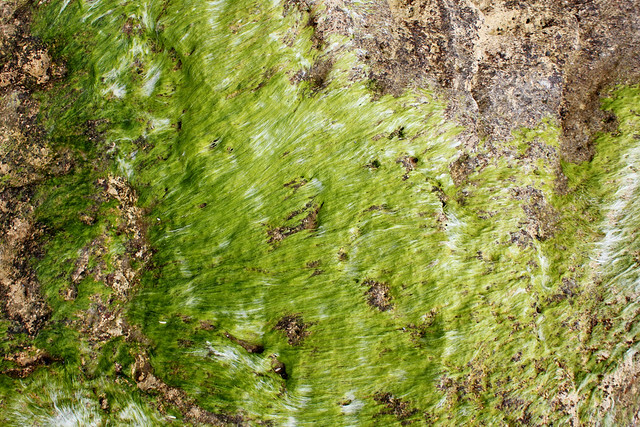 Next we ventured a few kilometers down the coast to Hot Water Beach, where a pocket of geothermal activity beneath the sand warms the water. 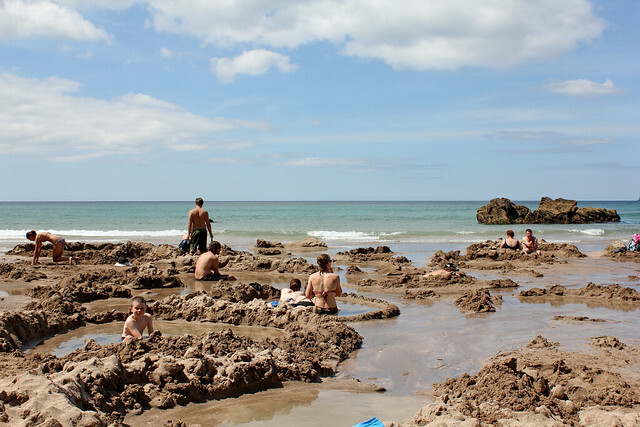 Tourists flock to this small patch of sand to dig their own hot spring. If the water gets too warm, waves from the ocean cool it down. You're encouraged to bring a shovel, but we simply adopted an abandoned pool. 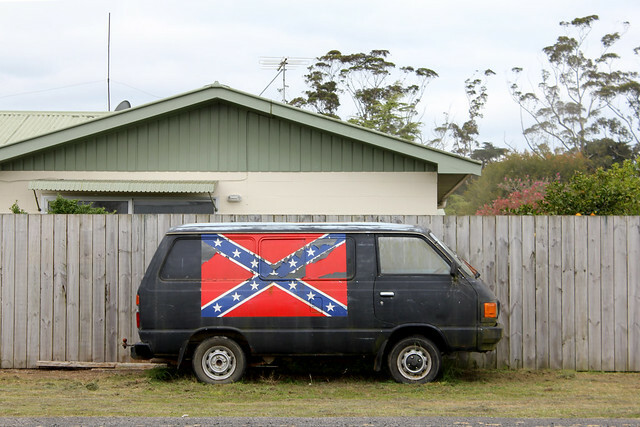 On the drive home, we passed through Whitianga, where we saw the van below. It amused us to find it here, instead of back home in Texas or South Carolina. Yee haw! 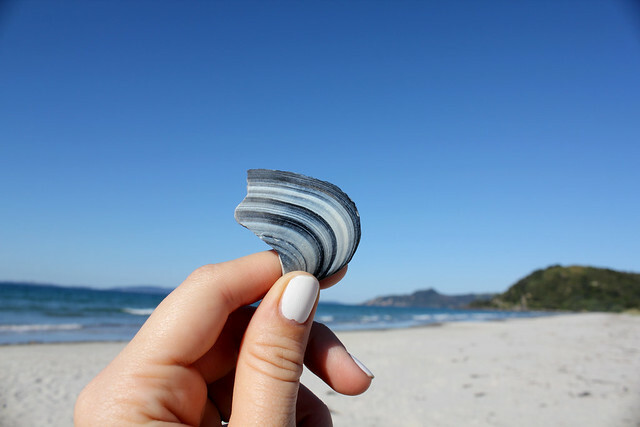 Coromandel Peninsula was one of my favorite places in all of New Zealand. 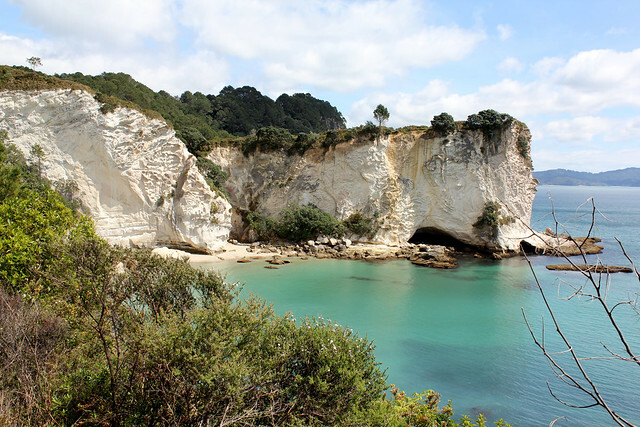 I also did the same trail to Cathedral Cove. 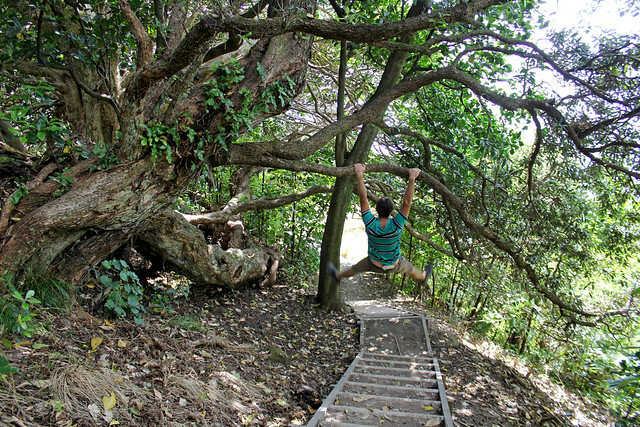 Your photos bring back some incredibly fond memories, and they're making my heart ache (in a good way). I look forward to more entries!